As the Optics & Photonics School of the KIT, Karlsruhe School of Optics & Photonics can offer teaching at the highest academic level. The exceptional quality of both research and teaching at KIT is repeatedly proved by different international rankings. The QS World University Ranking is based on the characteristics of universities. The main categories are the size, age, status (public, private, etc. ), research and its intensity, and focus (categorization of faculty areas and programs) of the universities. These five main topics are then broken down into smaller subtopics in order to rank each university. the US News ranks universities on 13 different criteria to measure academic research preformance and their global/regional reputation. Times Higher Education ranking is based on the criteria of the universities international community, this includes staff, students, co-authors and even the universities international reputation. KIT is one of the institutions of research and higher education in engineering in Europe. In THE rankings includes Young University Rankings. This includes the world's best universities that are 50 years old or under. The NTU Ranking is based on publication data in the natural sciences and in the engineering sciences. the WirtschaftsWoche Ranking ranks German universities. EU-Multirank, funded by the EU Commission, judges universities by their publications, third-party funding, number of post-docs, and more. They also break down subjects to give a more intensive look into the programs. This includes Electrical Engineering, Mechanical Engineering, Production/Industrial Engineering, Biology, Chemistry, among others. 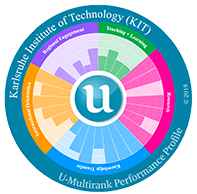 U-Multirank covers universities worldwide by using a variety of criteria and subjects. The Academic Ranking of World Universities (ARWU), also known as the "Shanghai" ranking, evaluates research indicators and individual disciplines. The Nature Index tracks universities worldwide and their research outputs every year, tracked from February until the next year in January (February 2016 - 31 January 2017). They also look into the output in each field and group them by subject, which are organized by journal and then title. 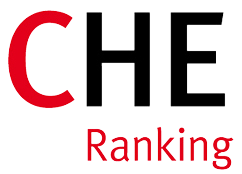 CHE University Ranking analyzes German universities about their studies, academic education, research, and student judgements in regards to the study conditions at their universities.